Riddled with design flaws and completely unsuitable for combat, the massively expensive F-35 fighter jet is just the latest staggering example of out-of-control government spending. Here are some other things that could’ve been purchased with the $1.5 trillion that the F-35 cost to develop. Instead of building one costly jet, the government could have spent the money on five high-powered automatic weapons for every man, woman, and child in the country. Really puts things in perspective! While the government is dead set on continuing to fund the F-35, our nuclear stockpile is falling into disrepair. At a refurbishment cost of just $20 million per bomb, we could’ve used the $1.5 trillion to revitalize our crumbling nuclear weapons program and put America back on top. We would never want for tanks again. There are humanitarian crises in dozens of countries all over the world, and while we could be launching sustained missile campaigns against all the oppressive regimes that cause them, the government would prefer to funnel all our money into a useless plane. 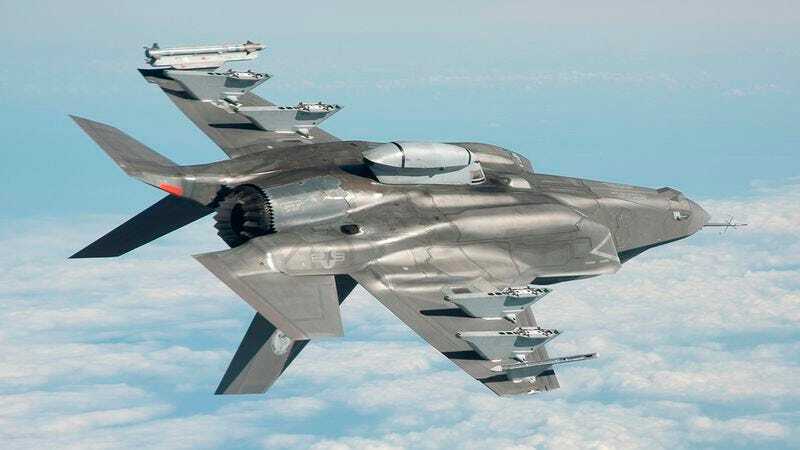 Having 10,000 F-22s would meet our country’s aerial combat needs for decades to come, but Congress would much rather waste our tax dollars on fancy-pants killing machines that don’t even work. While housing someone at Gitmo isn’t cheap—approximately $2.8 million per person, per year—the money spent developing the F-35 could’ve easily put a roof over the heads of the more than 500,000 Americans currently living on the streets. But why eradicate homelessness when you could have a dysfunctional airplane instead?